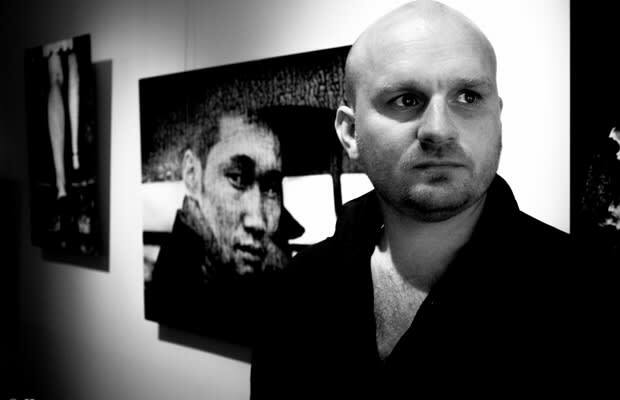 Photo of Jacob Aue Sobol by Jonathan Lees. Award-winning Magnum Photographer Jacob Aue Sobol made the legendary journey along the Trans-Siberian Railway, stopping in three unique cities — Moscow, Ulan Batar, and Beijing. He brought the new Leica M Monochrom with him, which proved to be a worthy companion. Whether in the Russian forests or the Mongolian desert and the mountains to Beijing, he managed to capture breathtaking moments in black & white through the lens of this revolutionary camera. The Leica M Monochrom is the first digital rangefinder camera to deliver digital monochrome photography in unrivalled sharpness and dynamic range, and Sobol&apos;s images are a testament of just that. In the following interview with Jacob Aue Sobol, conducted by Complex&apos;s Video Director, Jonathan Lees, the photographer discusses his exhibition Arrivals and Departures and work exclusively with the Leica M-Monochrom Camera. Sobol shares how he discovered photography, in addition to his creative process, all while in the setting of the new Leica Boutique and Gallery in Washington, D.C. I try to block out my mind, to be emotional and be open by any influence. There must have been something about your upbringing in Denmark that inspired your approach to photography, perhaps the quality of light. I know it’s very specific. Tell me a little bit about your home. My home country, Denmark, is a small country of five million people, but I grew up in the suburbs of Copenhagen with my twin brother and older sister. I was very closely connected to my twin brother, of course. We kind of created our own universe and had our own way of communicating with one another. I know that for many years, it was difficult for me to become independent and make my own life, because I’ve somehow always been living for him. In some ways, I still feel like I&apos;m doing that, because we have that close of a relationship. Of course, it’s different when you have your girlfriend or a wife, in terms of it being a different kind of relationship, but with my twin brother, it’s something that I’ll always be missing. You have a very specific vision, and it’s very contrasty with lots of crushed blacks. Let’s bring it back to the environment — was there anything from your environment growing up that led you to create this play on dark and light? I think in Scandinavia, specifically the Northern part, you have a lot of different light in the summer and just darkness in the winter. In the winter, I lived in Greenland. There were two months where you didn’t see the sun, so it’s different. When the weather is not broken up into seasons, it creates a different mood. I know I’d be in a different mood if there was no light for that much time. But the light is different — it’s more contrasted. What kind of mysteries were you looking to uncover as a budding photographer? I always remember that as a kid, I was the one exploring things. I just had a basic need to explore and be adventurous. I think it’s also part of the environment that you grow up in. My mother was a photographer, and my father was a journalist. My grandfather was a photographer, so I was used to traveling a lot and seeing different places. You were used to your relatives always having a camera in your face. It&apos;s sort of a disassociation, but I know my friends get irritated whenever they go out with me, because I’m always snapping photos. It’s strange, because I have all these images from my childhood. My mother photographed my entire upbringing. I don’t even know if I remember things from my upbringing, but when I look at her pictures, that’s when I see and remember the stories. I don’t know what is my memory and what is just looking at the picture. You work almost exclusively in film. This was your first time using a digital camera, correct? It is what I communicate with people that makes me feel alive. So when it came to the process, did it take you a lot time to get used to the digital format in order to replicate your film work? How much experimentation happened before you figured out exactly what you wanted to do? It was a long process. When I was at school, each week we had a new guest teacher, and I would try different things. It was really when I went to do my first project in Greenland — that’s when I started developing my own style. When I was there, I fell in love with a local woman and ended up living there for two and a half years. I wasn&apos;t first and foremost a photographer, but being I was her boyfriend and lived with her family, training as a hunter and fisherman. For half a year, I didn’t take any pictures, but when I picked up the camera again, it was on a morning when my girlfriend was dancing around and lifting up her dress. I took my first picture in half a year, because all of a sudden, there was a different reason for taking a picture. It was no longer to make dramatic images or to prove anything, it was because I wanted to photograph her, as I was in love with her. It was an emotion or a moment that I wanted to remember and keep with me. I started using the small pocket cameras instead, which was before I had the large Canon equipment. I started using them more as a diary. I’m interested in the fact that you said romance brought out the photograph again. That’s very romantic, and you definitely have relationships with your subjects in each picture. You were also a hunter and fisherman, as you said. There is sort of a hunt when you photograph, so when do you switch between "the hunt" and embracing your subject? [Laughs] That’s a good one — embracing my subject and the hunt. I think I work in those two different ways. One is when I photograph in the street; it’s maybe more the hunger. Sometimes in Greenland, you can sit for eight hours in a boat and wait for a seal to show up, and you have to be ready. When I walk the streets, I’m very intuitive, and I’m just trying to experience things with the camera. I try to block out my mind, to be emotional, and to be open by any influence. What do you gravitate towards when you’re on the street? What are you looking for? I use my senses a lot. It can be anything from a smell to a color. It sounds strange to say color, because I shoot black and white. For a person, I have to be attracted to that person somehow to find them interesting. I never photograph anything or anyone that I find unappealing, because it’s not interesting to look at. If I was supposed to photograph someone I didn’t like, it wouldn’t work for me. You’re just immediately disinterested in the energy? I think so. When I walk the streets sometimes, it takes two hours to get from one end to the other, because I can be attracted to a shadow or a just someone passing by. Like if I meet some boys playing basketball, I tend to want to play first and then take pictures afterward. You don’t shoot first and ask later? It depends. Sometimes I do, it depends how I feel. Sometimes I take pictures all the time, sometimes I need to communicate — that’s the most important thing to me. It is what I communicate with people that makes me feel alive. How do you feel about modern photography? We’ve never seen such a boom like this, with companies such as Leica and other manufacturers like Instagram. People take pictures with their phones all the time. There’s almost this wall broken down since everyone expects to be photographed. At the same time, a lot of people are getting more paranoid about being photographed, too. Do you experience that on your travels? Not really. I think that&apos;s an American issue. I’m not sure. The most difficult thing for me is to take pictures from far away. Yeah, in terms of a constant flux of photographs — being shot from every corner of your eye it seems. I see there has been a lot of debate in America about street photography and things like that. It’s not that big of a deal in Europe but, I think it has to do with how you approach your subjects. If you spot someone standing with a lens, 30 meters away, and you can see he is photographing you, that is kind of strange. Yeah, it feels creepy. But if I walk up to you and say,"‘I think you look interesting, can I take a picture of you?" then it’s something completely different. There’s an approach. How does that approach change once you go inside someone’s house? Are these people you know? Are they people you spend the day with, before you ask them to take their picture? It’s very different. I photograph some people in their homes and others I meet in the street or in the park. In Tokyo, I spent two years in the streets and parks. I had time to meet people and engage with them. When you&apos;re on a trip with time limitations, you use your connections to find people who you can visit and photograph in their homes. All of us want to take pictures that are really intimate and gorgeous. How do you do it? To me, it’s not the most difficult thing actually. The most difficult thing for me is to take pictures from far away. Because there’s not a connection. I would love for you to break down one of your favorite images. One of my favorites is the man in the rain-soaked window. It looks as if he’s on a bus. You strip away a lot of softness in your photographs when you work with contrast on that level. There’s something very hard about it, because of the blacks and the way that the skin and strands of hair look. I don’t think I have a favorite. Do you want to tell me the story behind one of the harder ones you took, that was maybe more of an involved process in landing the photograph? I work a lot, so every day I spend in the street from early morning to late evening. I don’t know exactly when the image is there. There is a snapshot I took of a young woman’s leg walking up a stairway, and I don’t know where that picture will work until I start editing. It’s just a feeling I have, but working like this, in a very intimate situation, is always very difficult. They are inviting you inside; they are trusting you. To me, it’s a very volatile situation that I have to be careful in, but I can immediately feel both the subject&apos;s limit and my own limit, informing what I want to photograph or not photograph. I always listen to that. At this point, had the couple you photographed forgotten about you? Had they stopped paying attention to you? You have to be open yourself...The more you give of yourself, the more you will gain in your images of other people. You were right over them on the bed. It seems like when you start photographing, in the beginning you have some very intuitive images, and people are very natural. Then they start to stage themselves a bit. There’s a long period, where you feel it’s very difficult to get something that’s natural. I think it’s always in the beginning or the end that you get those images, because after a while, people start getting tired or start thinking about other things. I love that you don’t just focus on one thing either — there’s architecture, there’s humor, and there’s sadness. Are you ever telling a story beyond the image? Are you ever grouping your images together to tell a narrative? Or do you treat each picture as its own entity? Well, I think I do both. I look at every picture individually. There has to be some kind of pinch in my stomach to feel that this is the picture for me, because I’ll use it as a mirror of how I feel that day. That’s my ambition for other people as well. When they look at my images, they have to be open in a way that anyone who looks at them can make up their own stories. I feel that if I tell the complete story, I close the image. It doesn’t allow the viewer to expand. Exactly. Here, nothing really happened — I just saw a chair, and it was instinct to me to take a picture. I love the floor, the grime on the floor. I work a lot with the aesthetics of the image like the texture, the light, and the flash. I always use flash, because it has become the aesthetic for me, as well. The skin tones become more shiny, and it adds more contrast to the picture. You’ve almost created that look though without letting it drop off on the edges. There&apos;s also more light in here than out there. When dealing with heavy black and lights, it makes sense. Is there anything you want to say to our readers about how to drop all the pretensions and get out there and shoot? Is there any trick you can tell them, so they can just go out there and stop being scared? You have to be open yourself, you have to be able to give yourself. If you expect other people to be open and to give, even though you are the photographer, and you’re the one looking at someone else, it’s important that there’s some kind of exchange in that encounter. I think that’s the most important thing. The more you give yourself, the more you will gain in your images of other people.